Klaus Haagen is the Maker-artist behind the hand-poured candles from Austrian Atelier. 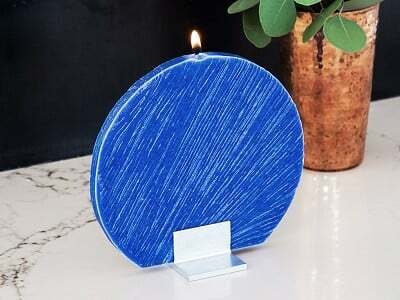 A native Austrian, Klaus creates uniquely beautiful flat candles in his Indiana studio that pay homage to his European roots. 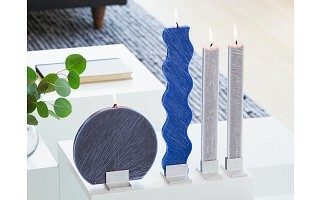 Klaus’ former life as an engineer is apparent in each meticulously crafted candle. From the elegant designs down to the specially made holders, Klaus pays careful attention to every element. 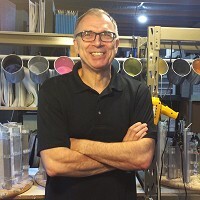 Using traditional candle making methods, Klaus pours each of his designs by hand. And he uses cleaner-burning palm wax, which is drip resistant. 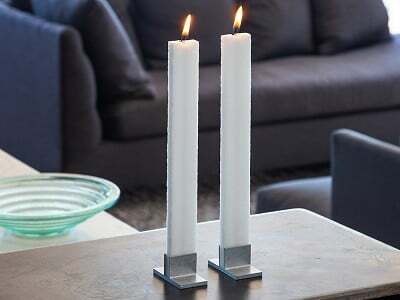 It also helps the flat candles stay in shape, even as they burn. 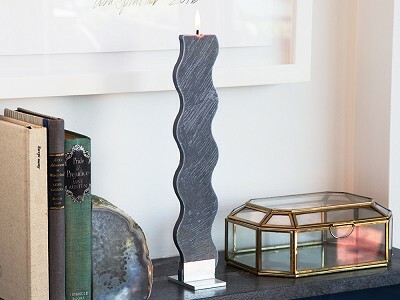 All this craftsmanship and quality materials result in an eye-catching candle that is centerpiece-worthy, even when it’s not lit. How long do these burn? Yes, the candles are made of palm oil, a renewable plant material with biodegradable by-products. Do they include a fitted stand to stand these upright? 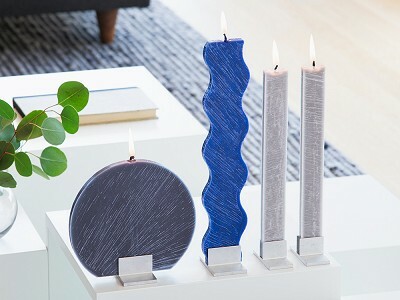 Yes, each candle includes a specially made stand.